Instantly connect your Macbook Air or Pro to a display using this lightning fast cable. 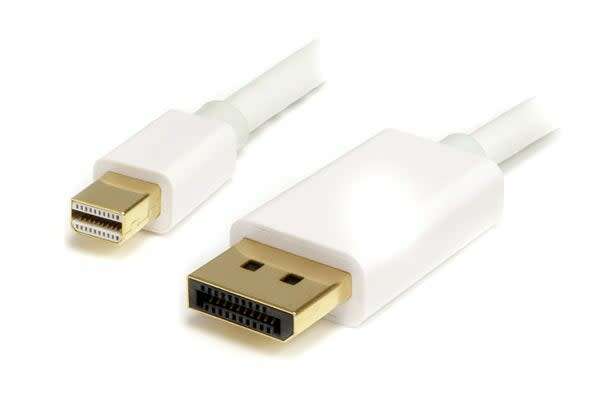 You’ll have no issues instantly connecting your PC to a monitor or external display using this Mini DisplayPort to DisplayPort Cable (Male to Male, 1.2m). Perfect for new-generation Macbook computers, you’ll be able to project movies and presentations from your computer to any device with an DisplayPort with ease. Created with a male-to-male connection, you won’t have to worry about any additional adapters either – just plug and go!